Below you can view all the condos for sale in the Red Sky subdivision located in Aurora Colorado. Listings in Red Sky are updated daily from data we receive from the Denver multiple listing service. To learn more about any of these condos or to receive custom notifications when a new property is listed for sale in Red Sky, give us a call at 720-729-2295.
bring your pickiest buyer this one will peak their interest. MLS#2263066. MB Denver Colorado Realty Source. Quick trip to Buckley AFB or DIA MLS#8290877. Brady Realty Solutions LLC. 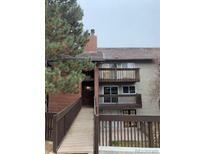 Located close to RTD light rail, amazing shopping and restaurants, and close to major highways. MLS#8975794. Rex Homes LLC. One of the best updated units in the complex!! ! MLS#4583665. Dominion Realty Group LLC. New blacktop, railings and walkways plus more to be done. Income potential. MLS#4076989. Realty Profiles, Inc..